All across Simcoe Muskoka, employers and employees invest in the well-being of local residents through United Way workplace giving. Their generous participation makes it possible for United Way Simcoe Muskoka to be the #1 non-governmental funder of social service programs in our region. On behalf of the thousands of people your support has helped over the last year, we’d like to thank all workplace supporters. 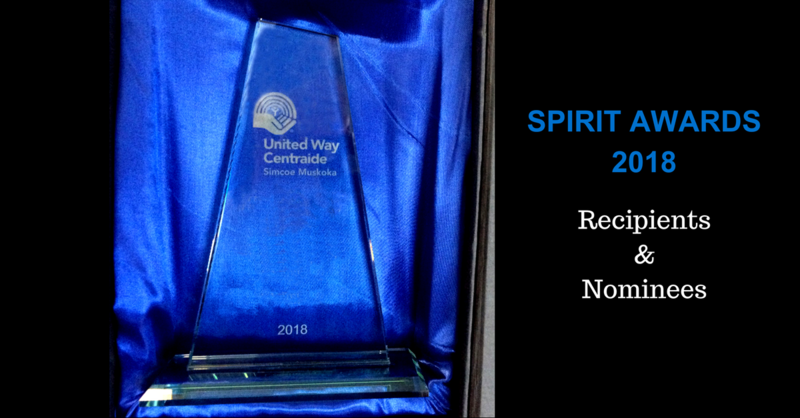 Through our Spirit Awards, we recognize those who excelled in their efforts to ensure vital community resources are available to everyone. Check out the photos on Facebook! Pauline Dale – VOA Canada Inc.